This is the first Made-Up History post in a while, huh? For the new people here who have no idea what I’m talking about, Made-Up History is a series I have been working on for a year or so where I take a piece of art that I am in deep like with and talk about it while kind of recreating what it feels like on my face. It’s not an art project where I duplicate it on my face, but I kind of distill it into a look that represents the work, or at least how I perceive it. 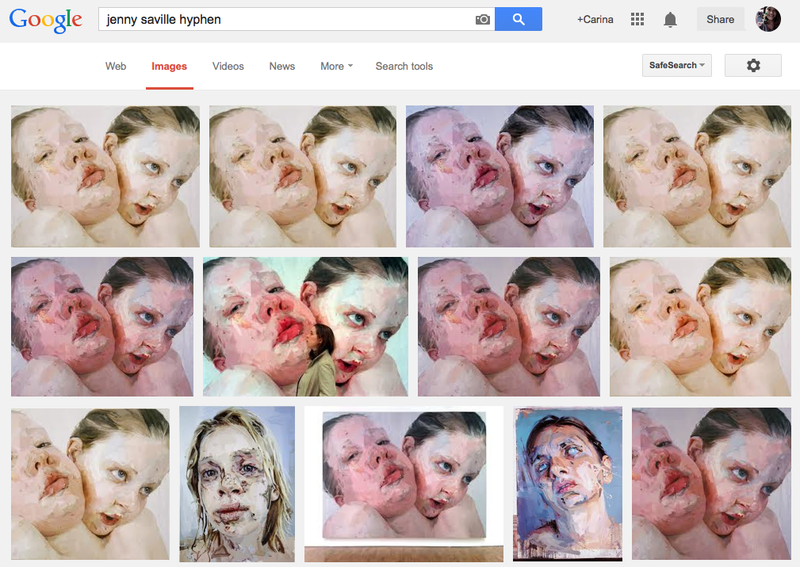 For this edition of Made- Up History, I have Jenny Saville’s “Hyphen,” which was completed in 1999. 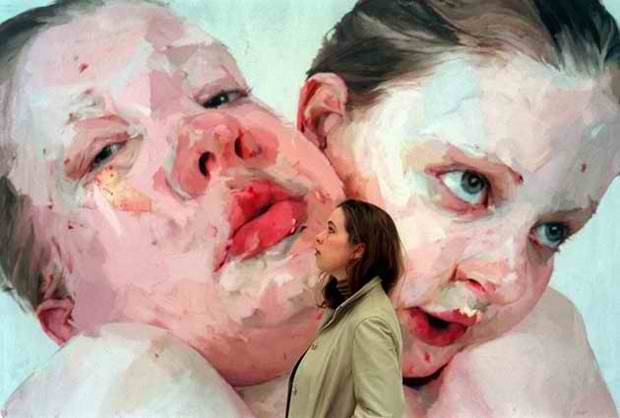 Jenny Saville is one of my favorite artists, though I’m sure her work unnerves a lot of people. I have picked a rather tame work—a portrait of herself and her sister—but she is known for depicting a lot of graphic themes in her work. I was a little wary of picking her for this because a) she might see this—far-fetched but possible, b) her work can be quite graphic and I’m not sure who is sensitive to that, and c) I don’t want to be seen as trivializing the seriousness and importance of some pieces. But. I love here. And I couldn’t seem to move past this work and do other pieces (I’ve had this idea on hold for a while), so I finally just decided to go for it. I’m putting everything else under a cut. It’s not sick or anything, but just. Graphic. So, you have been warned. Click to proceed! The eyes are courtesy of a red gel liner (3CE in L.O.V.E. *) as a base for the inner 3rd of the eye, fading into MAC Paint Pots (Rubenesque then Groundwork), and everything all kind of gradiented together with another MAC Paint Pot (Bare Study) all over everything. 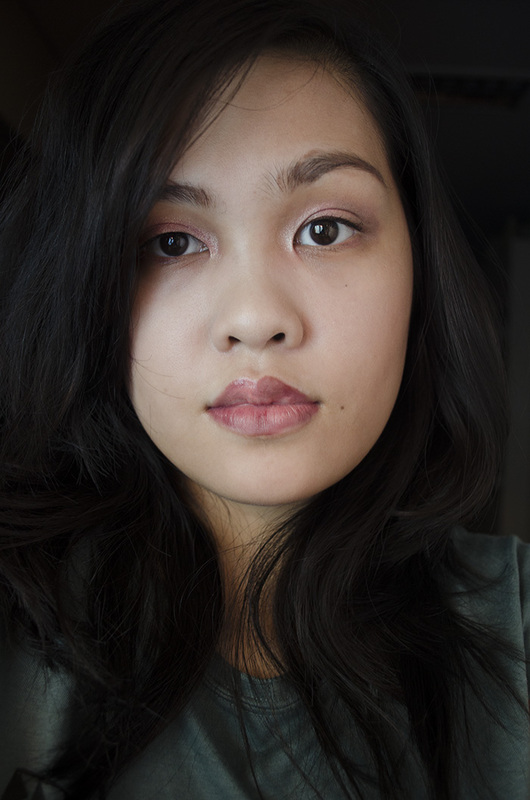 I added patches of NARS Bellissima all over, too, and piled on the mascara on my upper lashes without curling them. 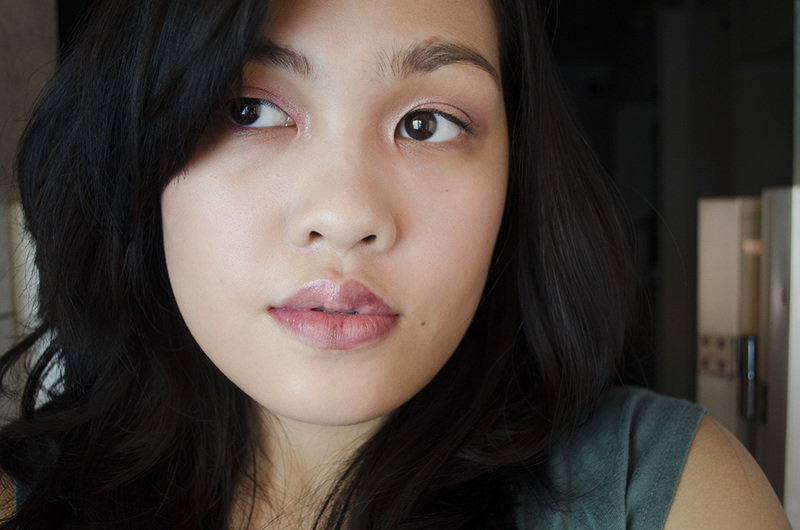 I think I also used the Illamasqua Medium Pencil in Ascend, too. For my eyebrows, I used Illamasqua Medium Pencil in Ascend and the & Other Stories Eyebrow Pencil (Bouclé Greige) in random flicks. I don’t know if that worked out for me, hehe. And that’s that! I kind of like how this look isn’t attention-grabbing until you notice the “wrong” things like the wonky eyebrows and the patchy lips. 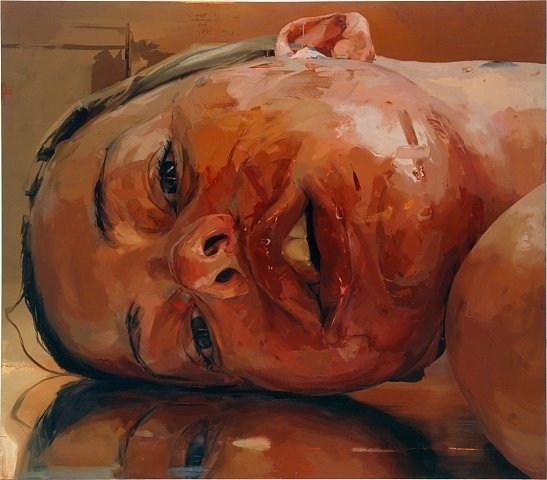 Anyway, what I like about Jenny Saville: her style and her fearlessness. 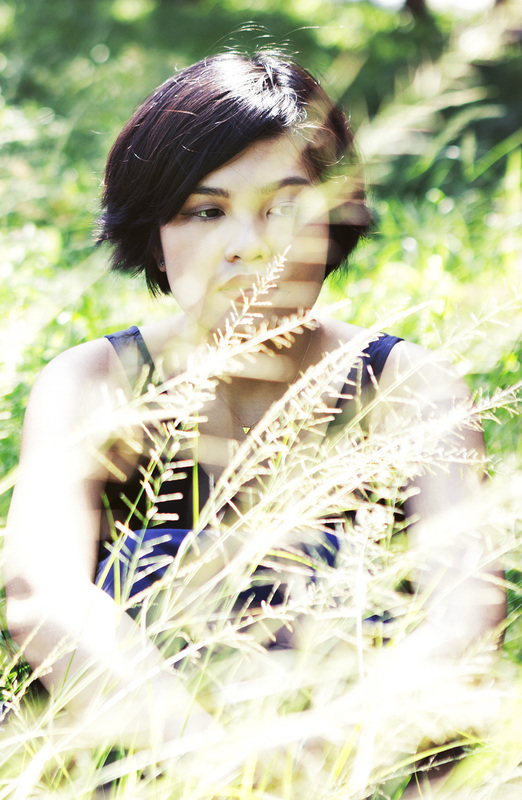 Apart from her work, you can kind of see it in the way she carries herself. She looks like a woman who gives no fucks, and for someone like me who is very passive, non-confrontational, and insecure, she embodies the kind of person I want to be a bit more like. As she was graduating, she held an exhibit for her senior show, which Charles Saatchi bought out. After which he offered her an 18-month contract, where he sponsors her as she creates new work that gets to be displayed in the Saatchi Gallery in London. How amazing is that? Saville is widely known as someone who paints nudes with huge fleshly bodies, but she has explored other subjects too, like transgender folk and post-surgical bodies. Her style is reflective of her desire to elicit a sensory experience from the viewer—the texture of the skin, for example—through a purely visual means because, of course, only barbarians touch paintings and other pieces of art. Barbarians. For more Made-Up History, click here. God, I love this series so much. That said, I love how this series always ends up being more of art education than pure vainglorious gratuitousness. (Not that it’s a bad thing.) It’s just…like, the Internet is an abyss of images. The circulation of a piece of art is at such a pace that it is harder to appreciate it in full. But this series just brings everything into focus. And, I think, the fact that you/we played with make-up beforehand makes it easier to digest what that piece of art is all about. Agh. I’ll stop talking now. No I get ya! Hahaha I actually feel the same way. I feel like I should have used matte/cream stuff for the eyes! The brows have stray “hairs” drawn haha. I didn’t want to make it look ogre-y. :)) But yes, ultimately, I wanted a bit of wearability! I didn’t want it to be too costume-y and literal, though I do agree with the eyes, yes. Hehe freshly shaken about from a bun! 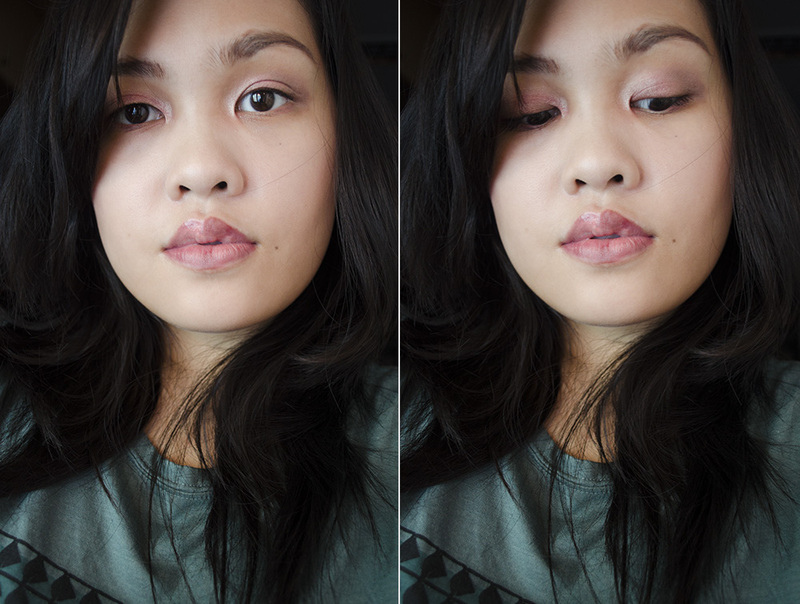 I think the patchy lips made the look. I’m not familiar with Saville’s work (and I’m mostly an idiot when it comes to paintings/art/etc) but I think you created a wearable look inspired by her provocative work. Thank you Krysty~ 😀 She’s so awesome huhu. I love her work so much. Everything’s just so powerful, and sometimes I feel like I, on the other hand, just make stuff up to say. If that makes sense.